bvdub is Brock Van Wey of San Francisco. 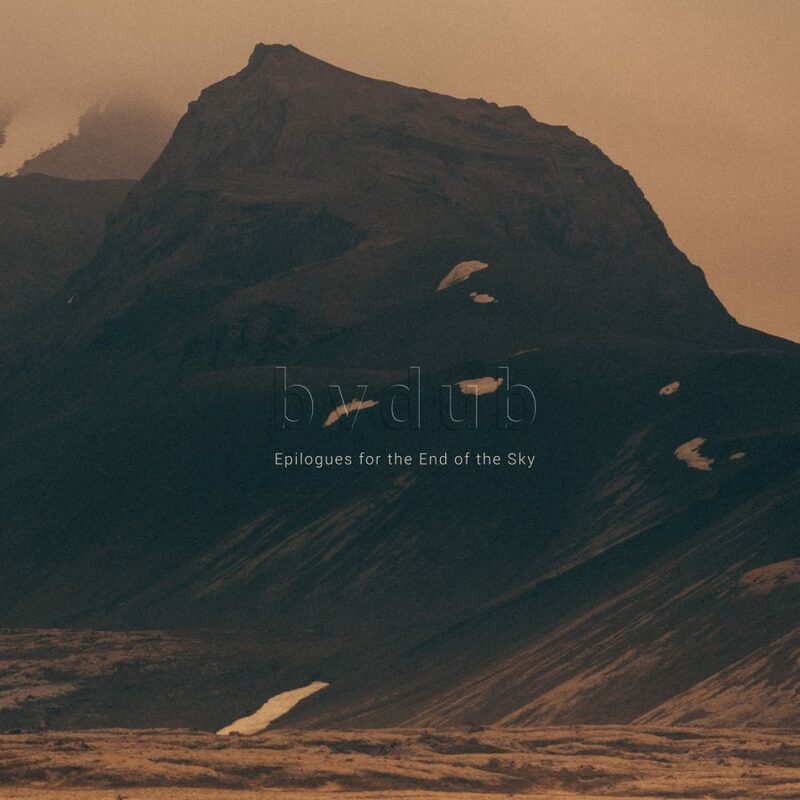 Epilogues for the End of the Sky is my first encounter with him, though it seems that he has been creating music through one name or another since the late ’80s. So it is no surprise that when I heard this album the first time it seemed so nuanced and masterfully crafted. Since that first listen, I can barely go a day without hearing it. bvdub fits somewhere between the space of dark melancholic ambient and deep house music. There are no beats or percussion to speak of, but the format and general aesthetics of the album certainly lead in the direction of some deep house or trance music. The most recognizable element that gives it this tag is the sparing use of vocal sections throughout the album. They will gently creep in and out of the mix, as if part of a DJ’s set. One some tracks like the opener, “On Deaf Hearts Your Prayers They Fall” the vocals are quite subtle, yet others will bring them much closer to the surface. The piano is used in just such a sparing yet emotive manner as the vocals. Some tracks will barely allow it to surface in the background, while others bring it directly to the forefront, guiding the direction of the track. “Sparkling Legions Turn To Black”, my favorite track on the album, brings these two elements together perfectly. There is a spacey feeling, a sense of some late night deep house set on a beach. But this is only what it suggests, the music itself is deeply melancholic. It seems more a memory of a distant summer in the past, in a time during one’s youth that will never return. This track, “Sparkling Legions Turn To Black” showcases a lot of the best elements of Epilogues for the End of the Sky. There are sweeping drone elements, deeply relaxing, yet always seeming to have a darker element present. The track starts out with this light droning, before an acoustic guitar enters the mix. Later as these two elements come to an apex the vocal section is presented. This really brings that feeling of a distant memory to the surface. These vocals are barely recognizable at first, but they will boil to the surface bringing an emotional charge along with them. By the eight minute mark, the track drops to almost a silence before the synthesizer elements and vocals take to the forefront. The rest of the eleven-plus minute track is much more direct, and comes the closest to deep-house that we will hear on the album. All of these elements give a suggestion of something from the electronic dance music scene, but they never arrive at that destination. Which is exactly why the album fits so well on Glacial Movements. The music moves along at that glacial pace, often leading toward a climax which never arrives. This increases those melancholic elements. It gives the album a truly sad feel. Add to this the occasional input of field recordings and we are left with an album that is not the usual sort of dark ambient at all, but it pulls at the emotions of the listener in many of the same ways. When presented with something that is ambient and deep-house with no tempo, but the entirety is vastly melancholic, this seems the perfect recipe for attracting the attentions of dark ambient listeners.